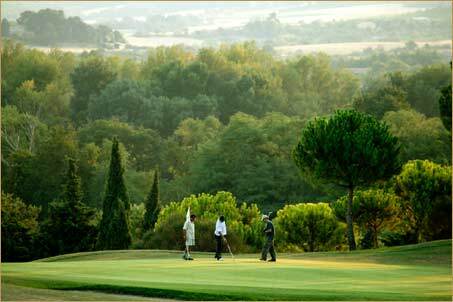 Situated close to the medieval town, the Carcassonne Golf Club is an 18 hole course that totals 6280 yds (5800 meters), with a par of 71, and is open all year round. 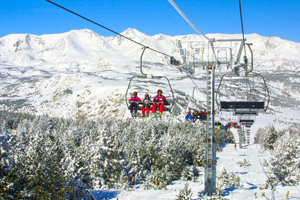 Most of the ski resorts of the Eastern Pyrenees are easily accessible from Carcassonne: Font Romeu, Les Angles, Andorra and Ax-les-Thermes. Many of these ski resorts offer downhill mountain biking in the summer. Carcassonne has three public swimming pools. See our annotated Google map for details. 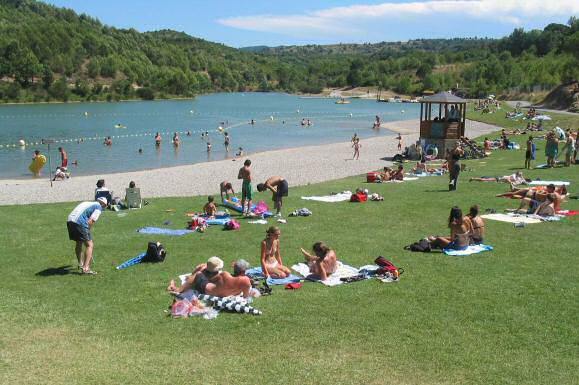 Lac de la Cavayère is a small recreational lake just 4 mi (6 km) from Maison Juliette. The locals call it “Carcassonne beach”! With its sandy beaches, lifeguard-protected swimming areas, fishing, picnic areas, grass walking paths, this lake is a great way to spend a relaxing day. Just next to the lake, O2 Adventure Park offers rope courses and zip lines for the adventurous. 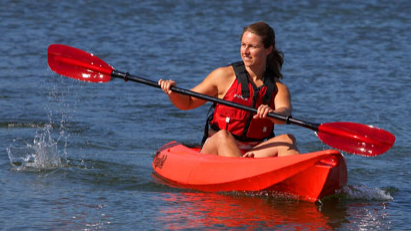 Try kayaking on the River Aude on sit-aboard double kayaks with Eau-rizon. Tours can be with guide (required for children under 10) or without guide (includes short 20-min training session). We recommend the shorter 6km trip; the last part of the 9km trip has few rapids and can be tiring. Carcassonne is a wonderful area for bicycling. 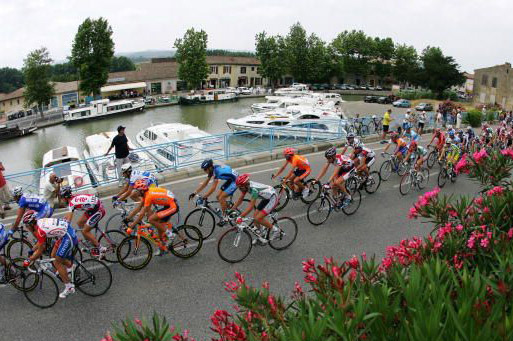 In fact, many world-class cyclists have chosen to make their home in the area between Carcassonne and Barcelona. Two of Maison Juliette’s owners are cyclists, so please contact us for suggestions on cycling routes in the area. The Tour De France comes near Carcassonne every year in mid-July. You can rent a bicycle at Evasion 2 Roues, the local bike shop that is just 0.6 mi (1 km) from Maison Juliette. They have “city bikes”, children’s bikes and tandems. If you prefer two-wheeled touring with an engine, there are many wonderful motorcycling roads in the area. Three of Maison Juliette’s owners are also motorcyclists, so we’ll be glad to offer you our route maps.